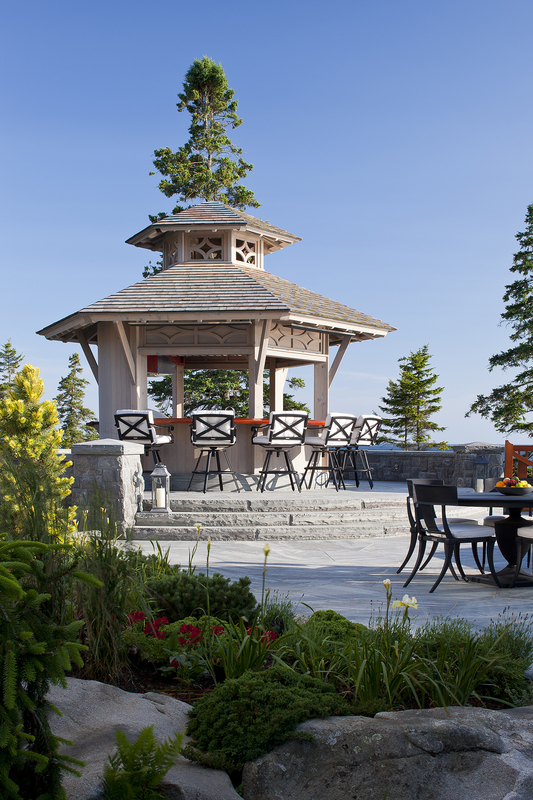 With a focus on entertaining, the cabana offers more than a seat in the shade… a full kitchen, two televisions, gas heaters, and of course the bar… make this the party hot spot! 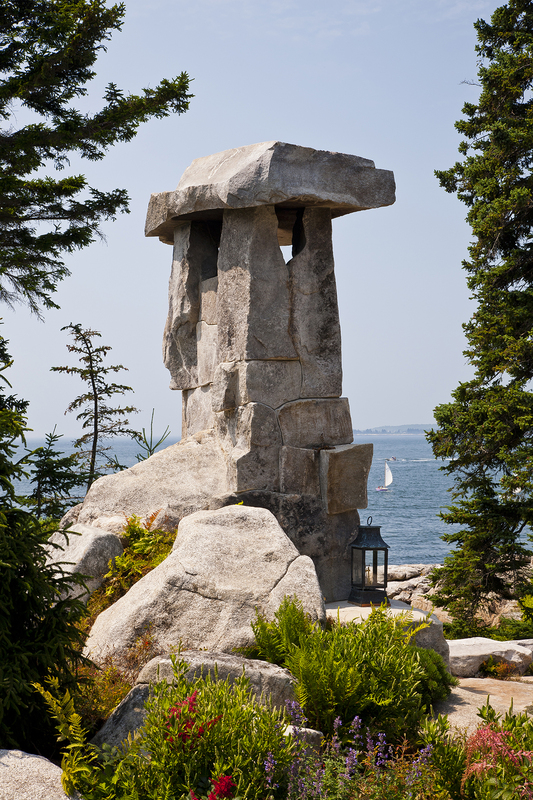 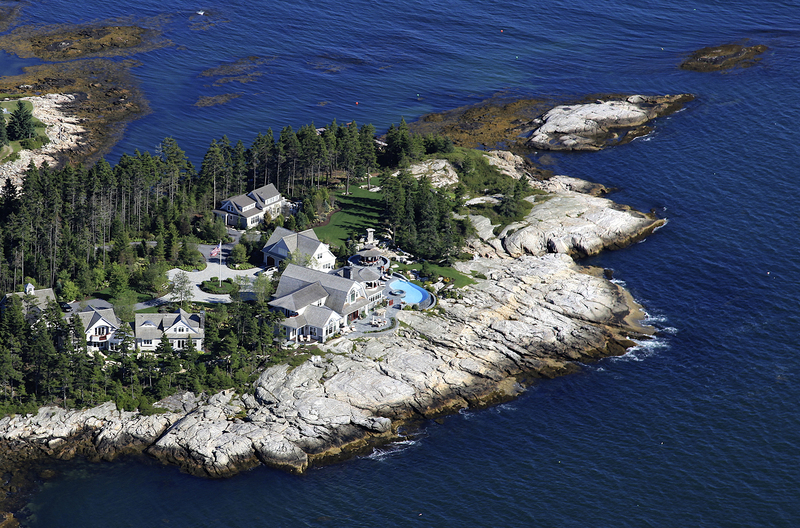 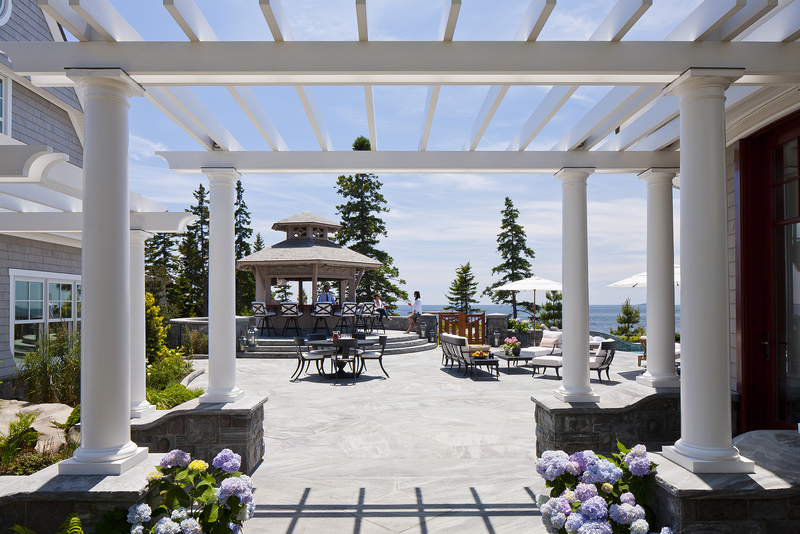 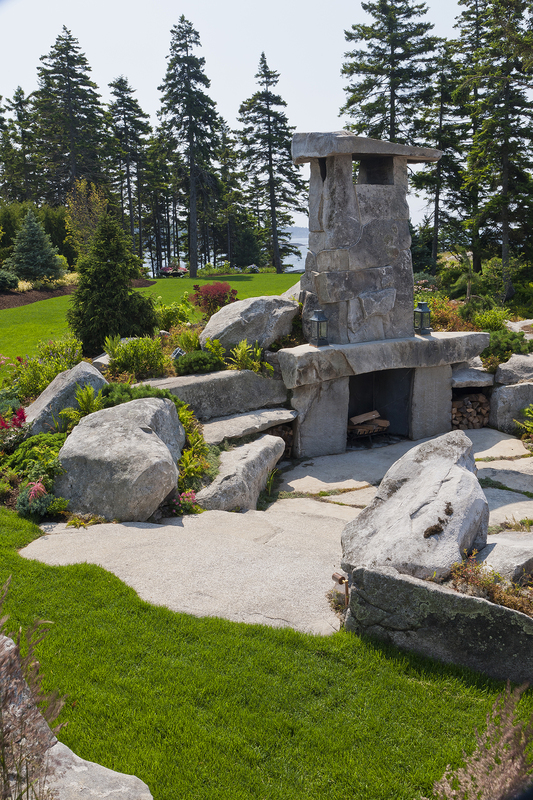 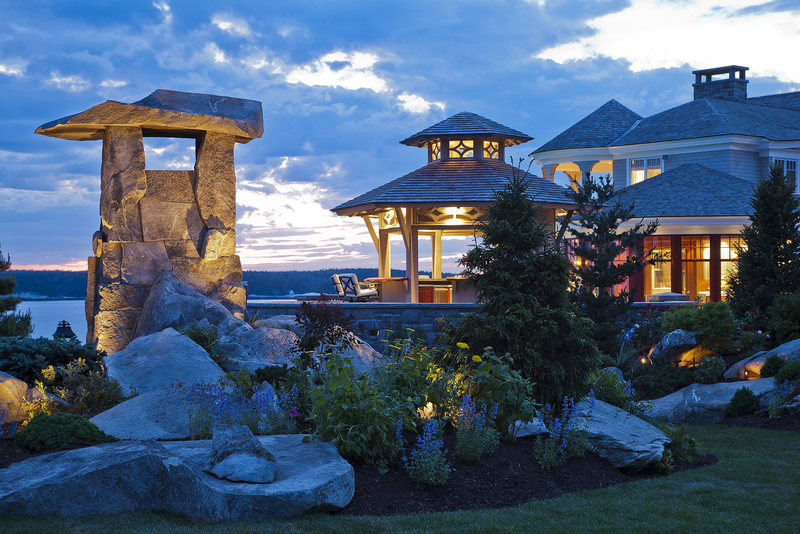 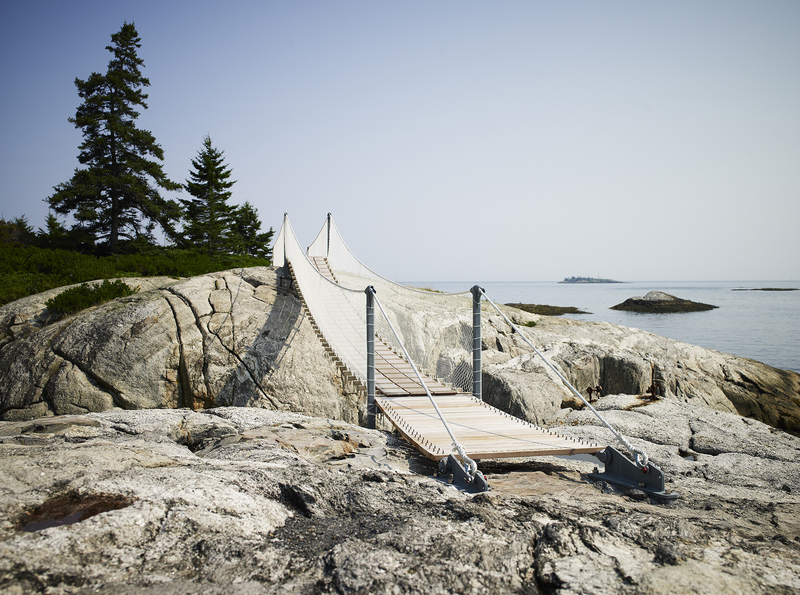 Set among the rocky cliffs, native woodland and wave-tossed seaside bluffs of the 5.5 acre site, the landscape created for a new “grand Maine cottage” includes sweeping lawns and extensive gardens of native plants. 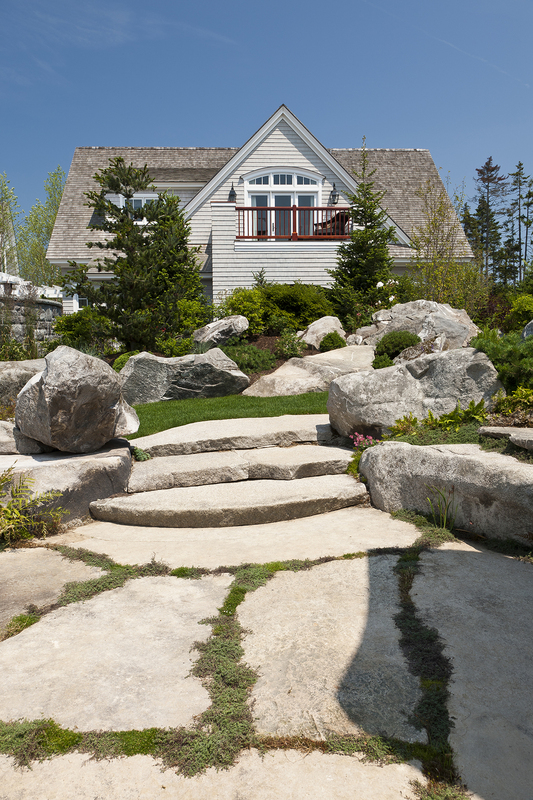 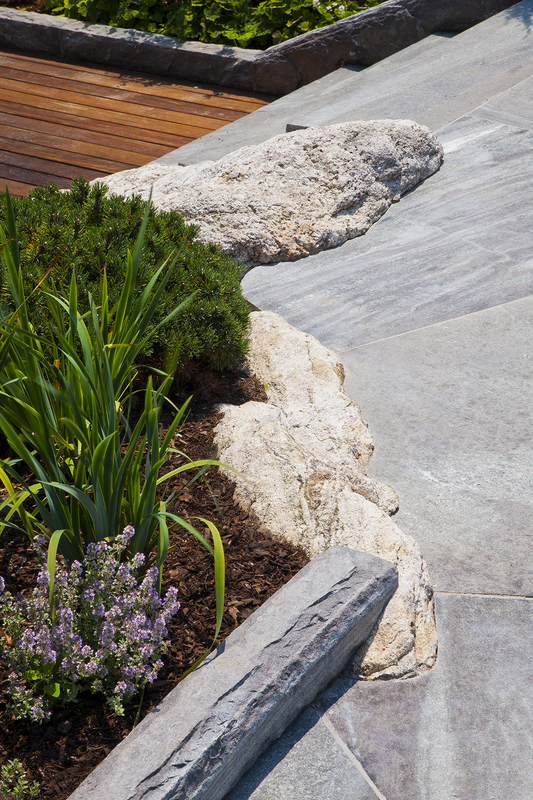 A curving “vanishing edge” pool and a native stone terrace provide an elegant transition from the living areas to the ledge-studded natural landscape that surrounds the home. 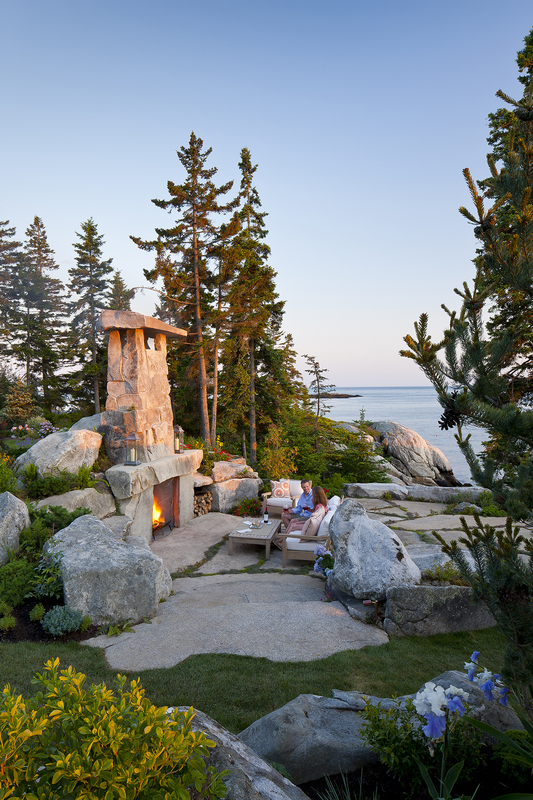 The outdoor living room is a special retreat, tucked between wooded knolls and set just above the property’s own “thunder hole” …there is a natural chorus made by the crackling fire and booming roar of the funneling waves. 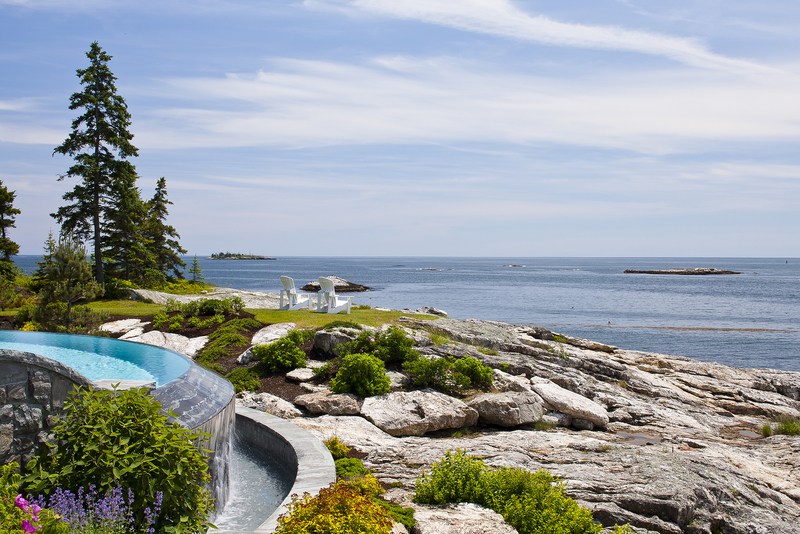 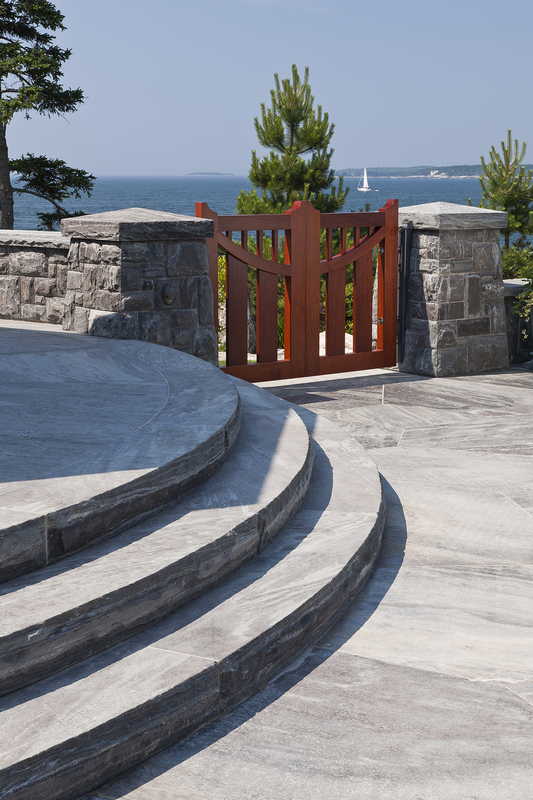 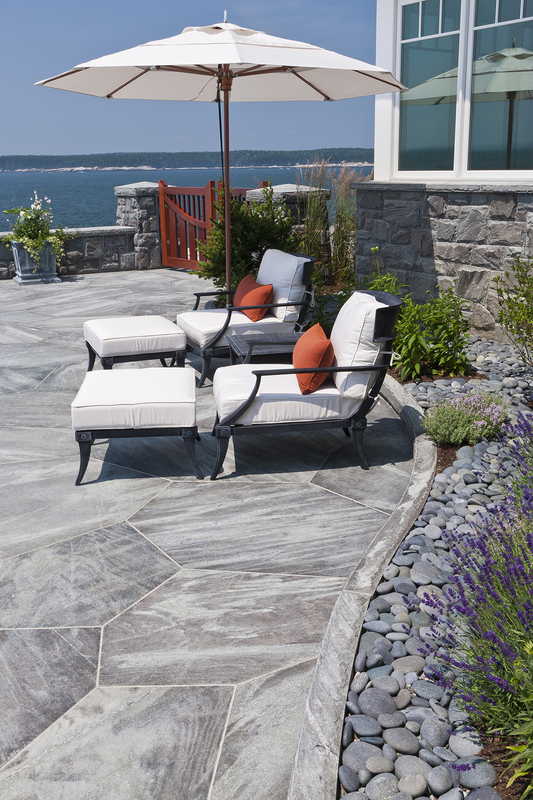 And sometimes, its just the simple things that evoke the most pleasure—a sunny spot to take in the open views of the Sheepscot River and the Atlantic Ocean beyond. 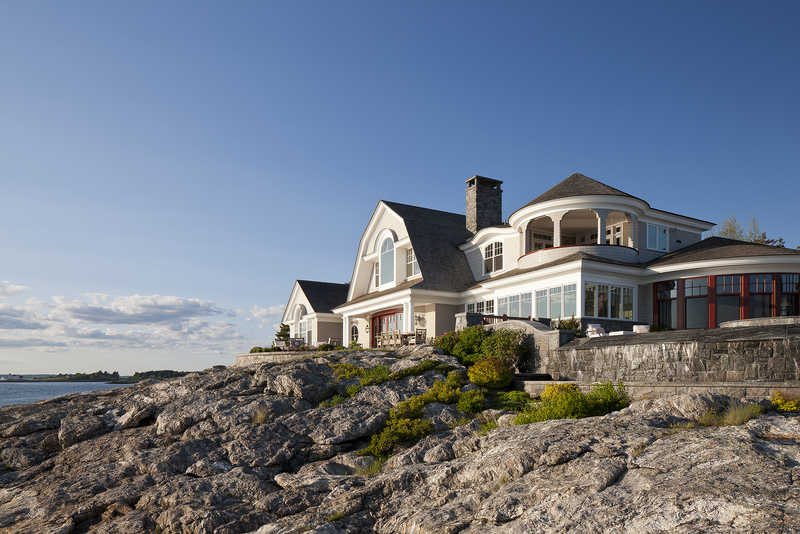 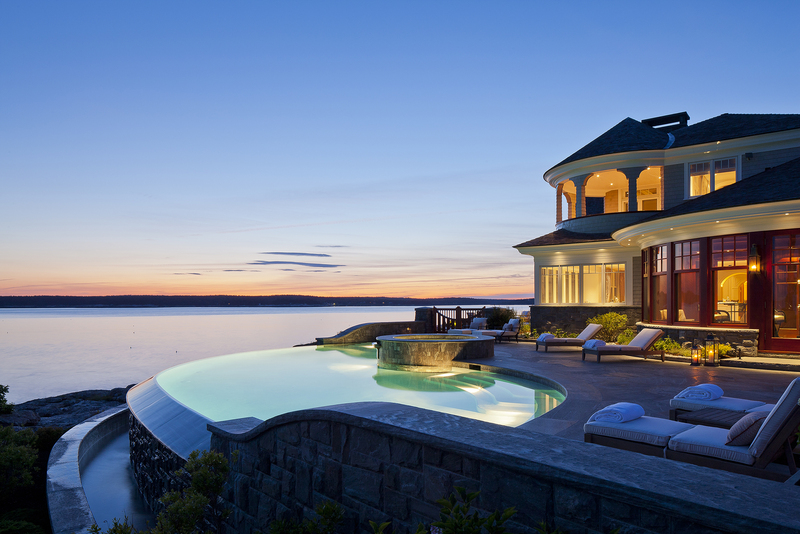 Read about the Seascape Main House.